It’s one of those when one is utterly bored. Kids are off to bed with the sweet note that they will be having a weekend soon. Though I have loads of pictures to be worked on, somehow nothing was inspiring. When you think about how things go on, one wonders if things are always as how one thinks? I was sad hearing the death of a colleague’s sibling and back at office, pizzas were ordered. No matter how many times one eats pizzas, it does thrill everybody on a pizza treat. However I was thinking how two distinct incidents makes such an impression on mind. We are able to have each in different compartment. Then there was this news about a colleague quitting. When I thought about it, I was wondering how just like a train journey, we get to meet people at work place. They get close to you, spend time and life. Yet one fine day they just leave. You may never get to meet them as how you do now. Yes no doubt you can be in touch, yet it’s not like how it is now. One can’t meet just like that. Still life goes on. After a long time, I got my ipod working and was listening to music. It felt so strange, the songs were from 90’s and early this decade. So poignant and moving. Anyway I can go on and on, and might miss on the chicken recipe if I don’t stop right now. You can make the gravy from one of the recipes listed below. Note: chicken pieces are taken from chicken gravy made with coconut milk. 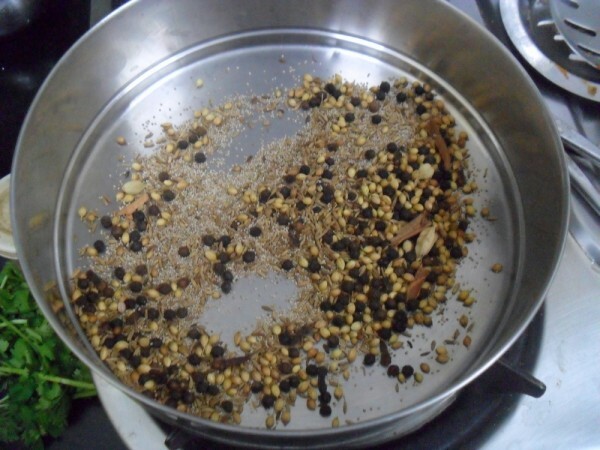 Have the Kurma Masala powder ready. Cook Chicken gravy as how it is made here. Once I made the gravy, I removed boneless pieces to make the gry. 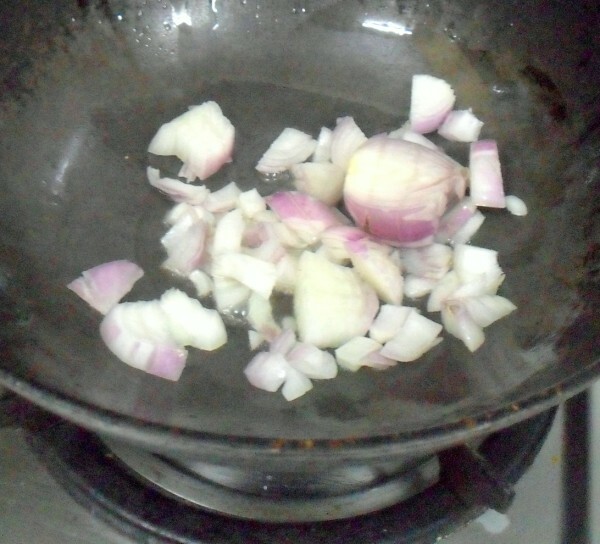 Heat a kadai with oil, saute the onions, they add ginger garlic paste. 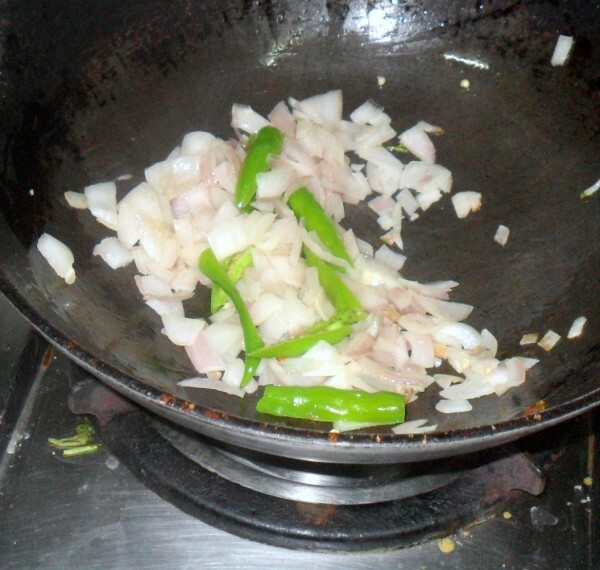 Now add the slit green chilies and fry well. 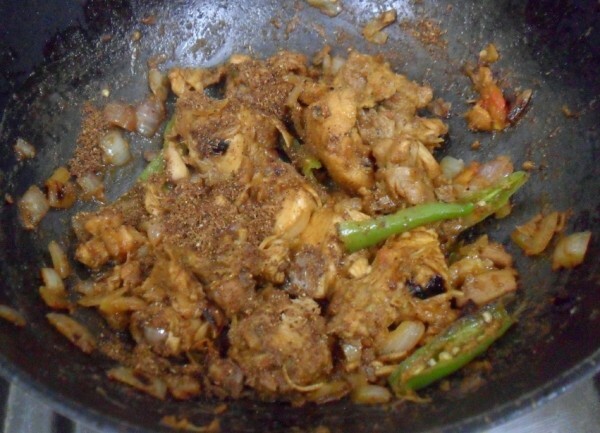 Once it’s all fried well, add the chicken pieces from the gravy, saute well. 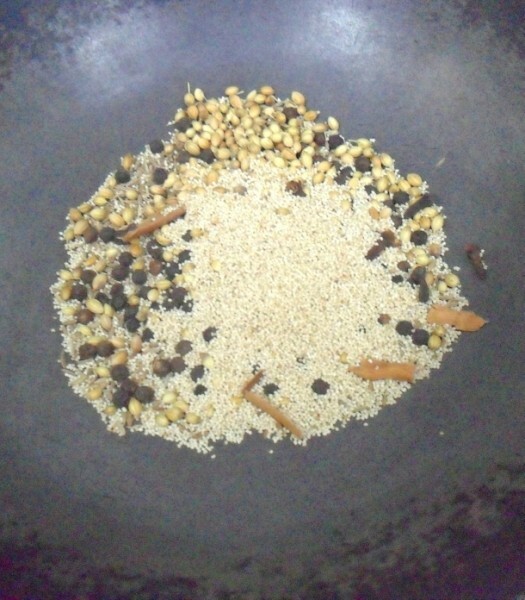 Add the kurma masala powder, pepper powder and cover. 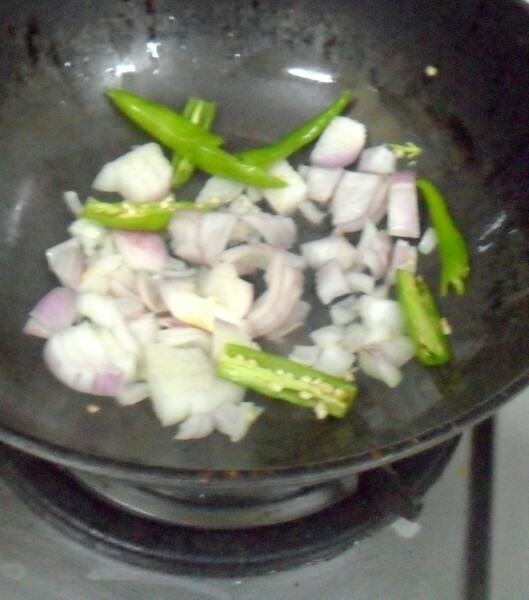 Add coriander leaves and roast well. The fry would be almost dry. 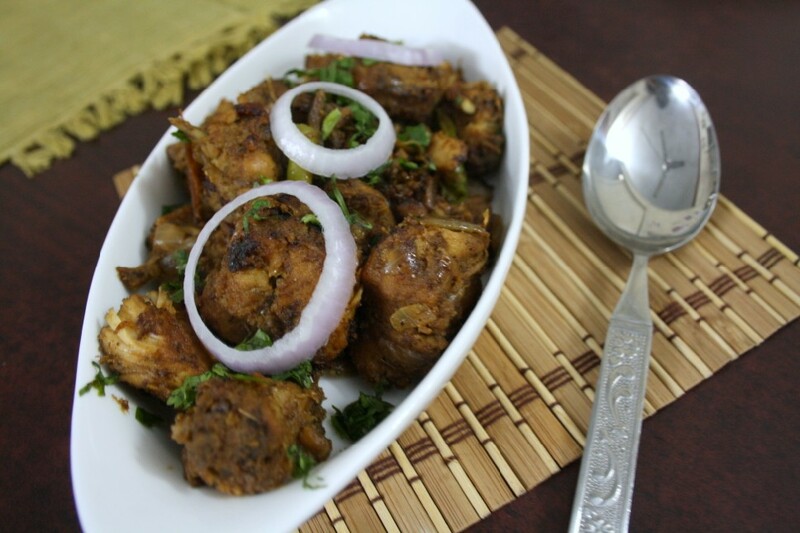 Slurp,mouthwatering here,chicken varuval with rasam rice, love it. 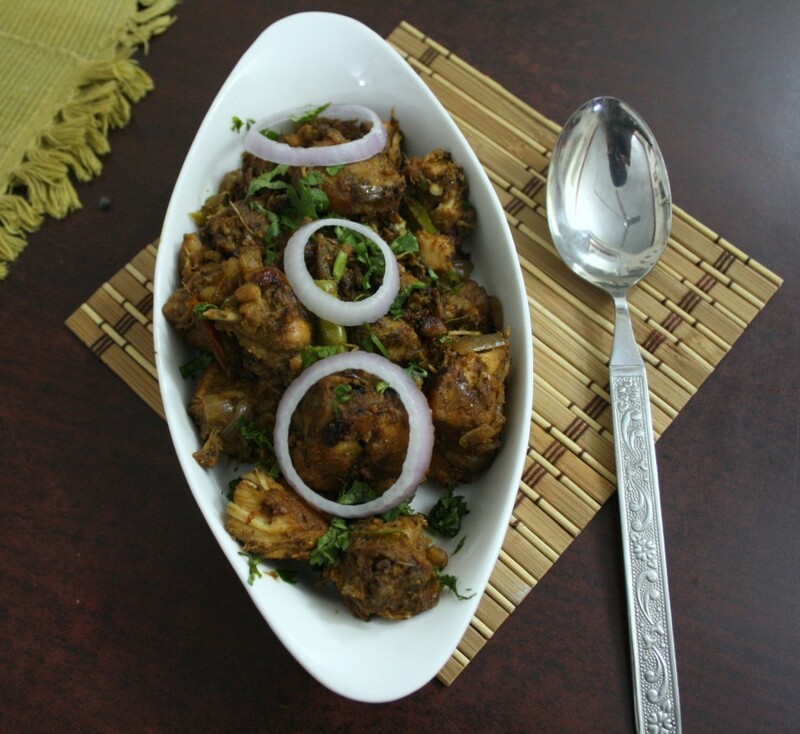 I like your chicken dish Valli. Love to have some with rice. Looks spicy flavourful.